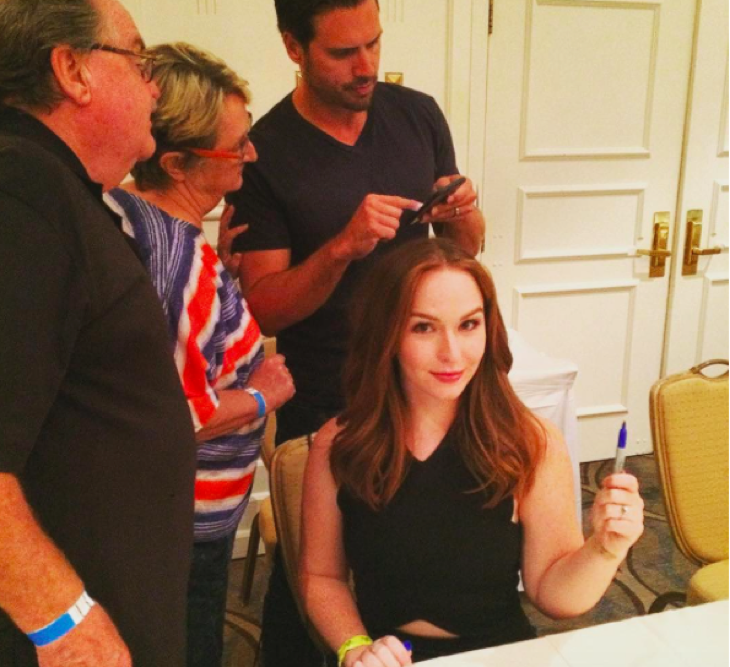 Camryn Grimes (Mariah/Cassie “Y&R”) posted a long periscope on Saturday. She wanted to connect with her fans and see what Periscope was all about. She answered nearly every question asked in her session, showing her fans that she is a down- to- earth young lady. She said she is most proud of the fact that she was the only soap star to truly grow up on the show without being recast. She said they talked about a Cassie recast when she wanted to finish high school and college but instead decided to kill Cassie. They decided to tackle teenage drinking in that emotionally charged episode. She said after all the years, that episode is her favorite, she has been involved in. She said she is lucky to have such a great TV mom, Sharon Case. A commenter noted that she had lost weight recently. She paused for a moment and said she had been trying to take control of her health. She was recently diagnosed with Poly Cystic Ovarian Syndrome (PCOS). She said PCOS makes it very difficult to lose weight. She appeared to be happy and healthier, but the important thing is she feels much better. She would love to do an episode with Cassie and Mariah- having to play both roles. She said it would be great for people to see the difference beyond that Mariah has a chip on her shoulder, and Cassie was sweet. She said Cassie was starting to get quite the attitude right before she died. She said the episode could be a dream; she just would love the challenge of playing both parts. Camryn Grimes seemed like the type of person you could sit down with and talk to her for hours and hours. She is beautiful- inside and out. Do you think Mariah and Kevin will end up together? Will Mariah and Sharon ever have a healthy relationship? ‘General Hospital’ (GH) Poll: Will Olivia Abandon Baby Leo to Keep Him Safe from Mobster Dad Julian?